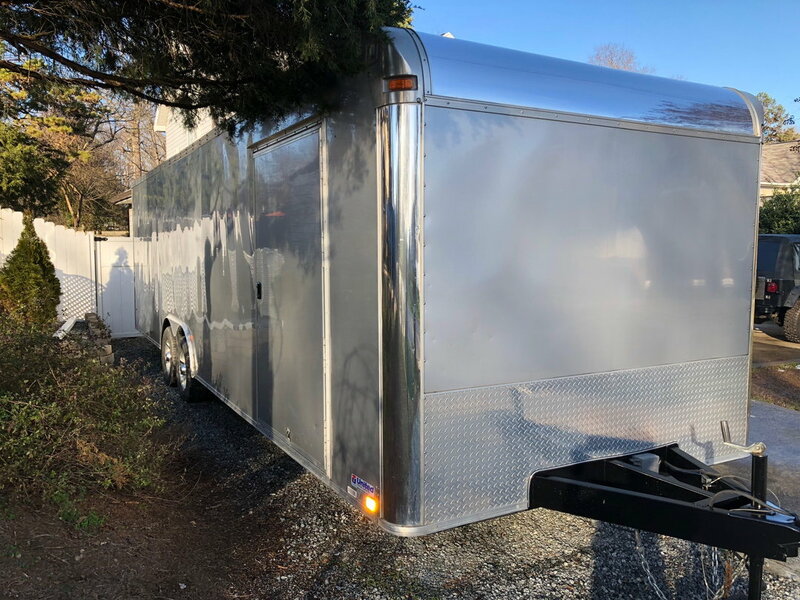 2012 like new 28’ enclosed tag trailer. Attractive smooth side silver exterior w/clean, white interior. Spring-assist rear door and 48” side door. Fitted w/‘E’ Track. Hubs, brakes, wheels & tires all in excellent condition.